Second and third generation Estonians are thriving. They are assimilating into North American cultures through their work and relationships, and redefining what it means to have Estonian roots. 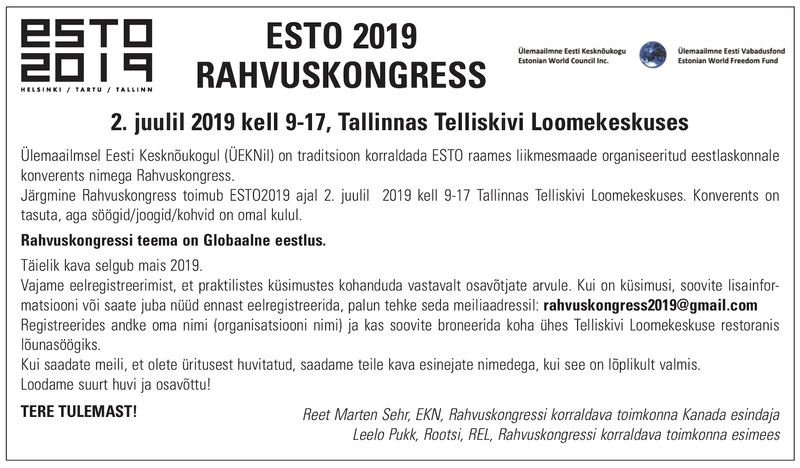 As such, Estonian communities throughout North America are changing, and the future demands a new approach to keep up and move forward since the concept of a more limited bricks and mortar Estonian House is becoming increasingly difficult for many communities to maintain. The most recent case of this is in the U.S. city of Baltimore, Maryland, where the Estonian House has been sold and closed its doors in April of this year. Lea Kiik has been the treasurer of the Estonian House in Baltimore for the past five years. Before that, she served for many years on the board of the Eesti Selts, which is a separate entity. The building was purchased in 1964 by the Estonian community and the difficult decision to put the house on the market was made five years ago. It was recently purchased by a church group, who will use the building as a community school. “Even though we had financial backing from various sources, we just couldn’t keep it any more,” Lea said. “There were too many repairs to be made and it was too costly.” Because of the old wiring in the house, there were two electrical fires that caused a good deal of damage as well, further depleting their resources. “Even though our finances were secure and stable, there was little incentive to continue in a steadily deteriorating structure,” Lea explained. “The furnace, roof, plumbing and especially electrical were antiquated and in dire need of replacement. We were fortunate that two recent electrical fires occurred when someone was there to take care of the issue. With an evaporating community and attendance there seemed little purpose to deplete all our remaining resources for what was essentially a money pit." She also said that attendance at their events had been steadily declining. Lea lived in Toronto for many years and visits fairly frequently. One of the ways in which the proposed new Estonian Centre on Madison Avenue in downtown Toronto is looking to the future is to deepen international connections. Facilitating business opportunities among North American Estonians as well as international commerce with Estonian business by way of workshare incubator space and this can be combined with actively promoting Estonian culture, music and technology to the world with an open and embracing flex space. The Estonian Centre has the potential to become a hub for international business partnerships, and a place to gather and develop ideas and synergies, generating the start-ups that Estonian is known for. It also makes good financial sense to consolidate all our community services and activities under one roof so they can be operated efficiently and effectively. Consolidation makes them easier to maintain, and to market. 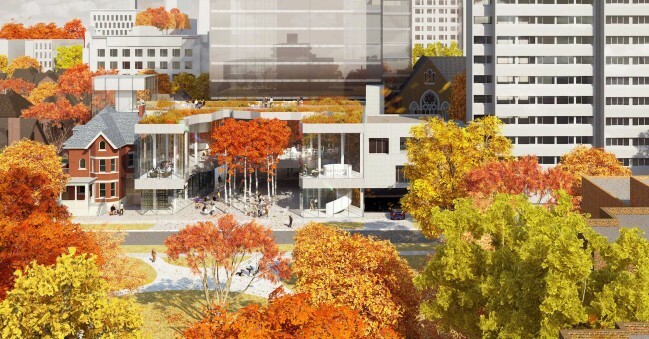 One of the ways in which efficiencies can be created is to develop a sustainable business model that includes lucrative, appealing rental income that is on par with what other “Class A” facilities offer in downtown Toronto. This is key to the successful operation of the centre over the long term and ensures the viability of our community. Veiko Parming is the incoming board president of the Toronto’s Estonian House. He served previously as vice-president of the board, is very much looking forward to this new chapter. He said that Estonian communities outside Estonia have similar challenges. Veiko believes that new thinking is needed to engage the younger generations. Veiko understands the U.S perspective as well, as his father's side of the family is from the U.S. and he has lived there, too. “When a good opportunity comes along, you have to do the best you can to try and make it work. Taivo Ets is a former board member of the Estonian House in Toronto (he served from April 2017 to April 2018) and he gained a good deal of insight into the realities of the future of the house during this period. Taivo also mentioned that when he lived in New York City, he would frequently bring visitors to the Estonian House there.